With the one week only re-release in UK cinemas of Back To The Future, Top10Films was reminded just how great this fantasy classic remains. Seeing the film on the big screen for the first time was an experience not easily forgotten. And, inspired by the film’s theatrical re-release it seemed time to celebrate ten of the best things about Back To The Future. 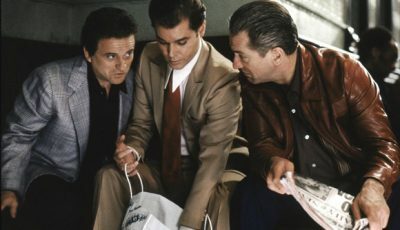 Fans can pick up the new high-definition Blu-ray release from Amazon.co.uk and Amazon.com when they are released at the end of October 2010. What would you do if you could go back in time and meet your parents when they were teenagers? That’s the brilliant premise of Back To The Future – the quintessential American Dream movie, which in its infinite time travel wisdom, brims with as much nostalgia for the fifties as it does concern for the fears and politics of eighties Reagan-era Americana. It is without doubt Robert Zemeckis’ best film in a career very much underappreciated by critics. The mere fact Steven Spielberg got it off the ground may be a reason why Zemeckis, in many quarters, is seen as a knock-off; a Spielberg understudy. 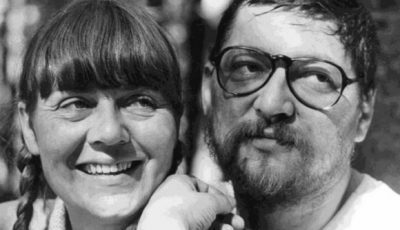 But it’s quite true, whilst Spielberg, Zemeckis, and of course George Lucas, all hailed from a childhood fed on late night fifties B-movies, science-fiction serials, and the television revolution, the others never did encapsulate the comforting nostalgia of the period like Zemeckis achieved so often. It isn’t strange then that whilst Spielberg phoned home and had Richard Dreyfuss making mash potato mountains, and Lucas went off to fight a war in the stars, Zemeckis and co-writer Bob Gale would quietly concoct Back To The Future – the best fantasy adventure ever made. The reason the film is regarded so highly is not because of the near-perfect script (used in many film schools as the blueprint for writing character-driven, classic Hollywood narrative cinema) but because it explores such a beautifully enriching idea that anyone can relate to. Like any great sci-fi, those questions of ‘what if’ are carefully investigated by Zemeckis’ warm touch and sprightly direction, from a script infused with humour and satire. The film also stands out from John Hughes’ ideas of the repressive parents, turning the notion on its head to reveal a rather cyclical sense of history and human nature. 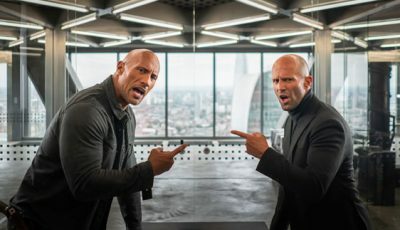 Yet the film would be very different had it not been blessed with two such terrific leads. Michael J. 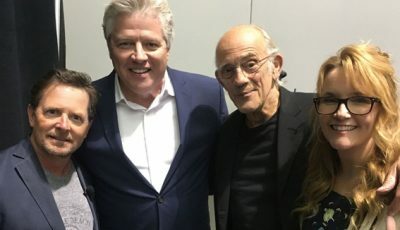 Fox and Christopher Lloyd may have pushed their skills as actors further in other productions but they’ve never embraced their characters as well, or with as much comedic chemistry, as in Back To The Future. Lloyd’s Doc Brown is the kind of mad scientist living off a kinetic childlike energy, whose optimistic attitude and moral values suggest, given the chance, he’d make Frankenstein out of dead poets, Peace Corp Protestors, Vietnam heroes and JFK. His energy is anchored by Fox’s wide-eyed teen who gets himself into a spot of bother, but who ends up having the adventure of a lifetime. Of course, one cannot go without mentioning the excellent support from Crispin Glover as Fox’s Dad, and Thomas F. Wilson as the school bully. It is only when you evaluate all these component parts and pause to contemplate the filmmakers inspired use of time travel’s infinite possibilities, that the full sense of Back To The Future’s true genius prevails. 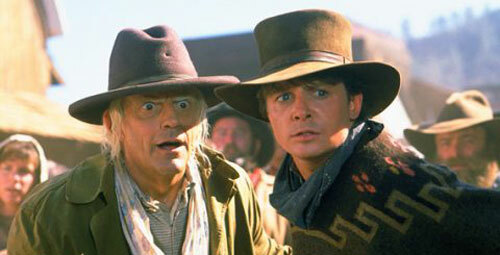 Of course, Back To The Future produced two sequels and it’s extremely difficult to look at them as separate entities. 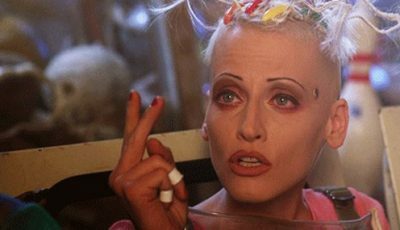 The original film is superior, but the second showed time-travel at its most dark and exhibited Zemeckis questioning the idea of such an ability having an adverse effect on a world that could not deal with it. 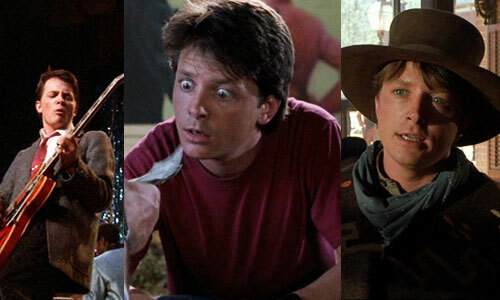 The third showed us that second sequels are not always bad, eclipsing Back To The Future Part II by virtue of returning to the values and ideals that made the original such a joy. Forget your Indiana Jones, your Star Wars, your Three Colours, and your Lord Of The Rings – this is the finest cinematic trilogy there is. 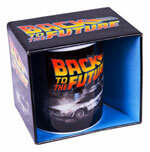 Ever since Back To The Future came out it has produced top selling merchandise. From posters, badges, t-shirts, soundtrack recordings and film stills, to toys and even a renewed craze for DeLorean cars. Pizza Hut got in on the act in 1989 with a sunglasses promotion (you might still be able to find these on Ebay), while I also found mugs, stationary, cigarette lighters in the shape of the DeLorean, retro clothes, sticker albums, Hoverboards and other props, mouse pads, and video games for sale around the internet. Few films made during the 1980s boasted such an iconic and memorable score. 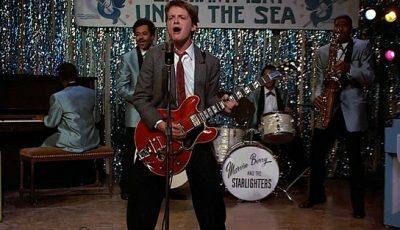 Back To The Future’s signature theme tune is still hummed today, while the mixture of 50s and 80s pop tunes has continued to make the soundtrack a big memorabilia seller. 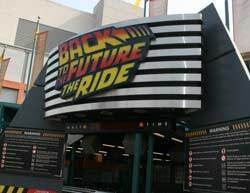 The Back To The Future ride that was located at Universal Studios’ theme parks across the world until recently was a favourite among the film’s fans as well as simulator ride enthusiasts. The ride came about partly due to one-upmanship between George Lucas and Steven Spielberg. Lucas told Spielberg, after the pair had ridden The Star Wars Star Tours simulator at Disney, that no one could make rides like Disney. Spielberg went away and instructed Universal ride designers to come up with something better. It worked. I was lucky enough to go on the ride several times throughout my childhood at Universal Studios Florida. They had a replica DeLorean car and time-travelling steam train outside the ride – yes, of course, I stood next to them with an embarrassed grin on my face and asked someone to take yet another photograph. Just like everyone else! Inside, while you’re queuing, you are greeted by a woman explaining Doc Brown is busy preparing the time machine for your trip one day into the future, and that he will be with you in a minute. 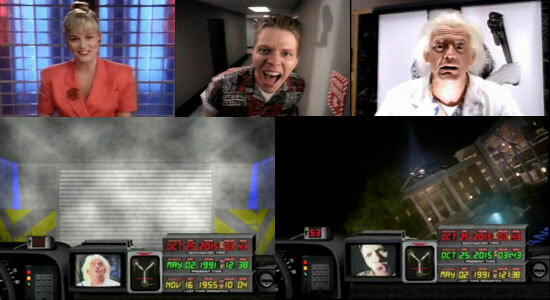 Then Thomas F. Wilson as Biff appears on the video monitor. After evading security he steals one of the DeLorean’s. 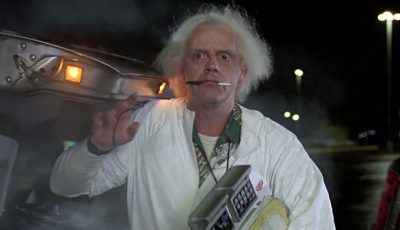 Christopher Lloyd as Doc Brown instructs us to take one of the other DeLorean’s and head off across time in order to capture Biff. We then enter a simulator that looks like a DeLorean and after a few safety instructions fly off after Biff, first to Hill Valley in 2015 and then back a million years where we dodge dinosaurs and save Biff from a lava waterfall. Great fun! Back To The Future was the film that paved the way to a career in Hollywood for Robert Zemeckis. Thanks to the encouragement and assistance from Steven Spielberg, Zemeckis would go on to make such huge hits as Forrest Gump, Who Framed Roger Rabbit, and of course the Back To The Future sequels. The Family Ties TV star became a movie star after Back To The Future making hits such as The Secret of my Success and Doc Hollywood. As sequels go Back To The Future Part II and Part III are two of the best. Originally the filmmakers were just teasing. But after the success of Back To The Future a sequel had to be made. 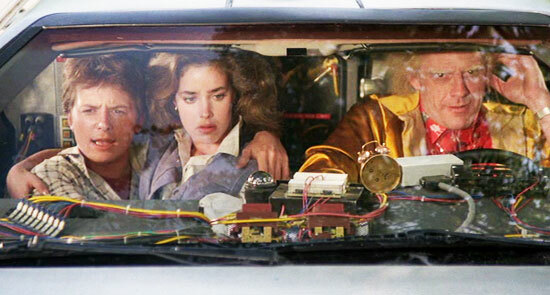 The ending, which sees Marty, Doc Brown, and Jennifer fly off into the future to save Marty’s kids, was originally intended as a fleeting indication of the character’s further adventures with no conclusion. 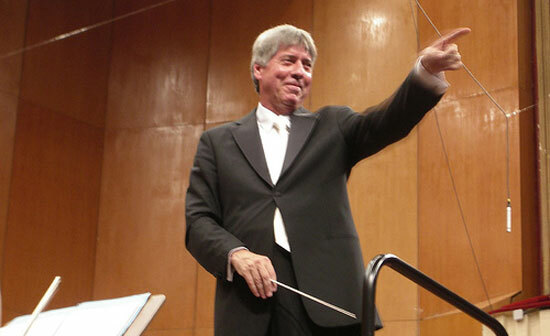 For the sequels, Robert Zemeckis and Bob Gale had to concoct a story to go with their ending. It was a great way to conclude the first film, leaving fans with bated breath. Thank goodness for the sequels! 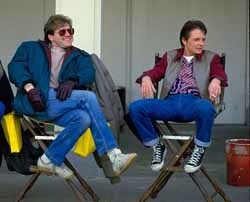 Back To The Future has so many great scenes but three have always stood out for me. 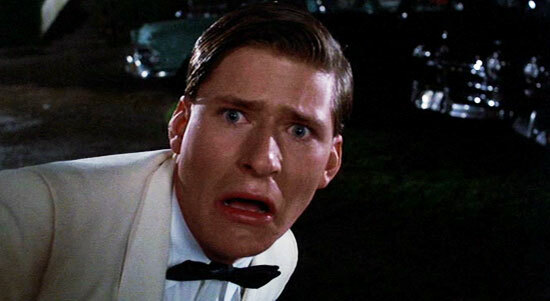 The first is when Crispin Glover’s George McFly wins the heart of Lea Thompson’s Lorraine Baines by knocking out the bully Biff. One of the most memorable scenes in the film is when Marty McFly escapes Biff by leaping over the car and landing back on the skateboard. 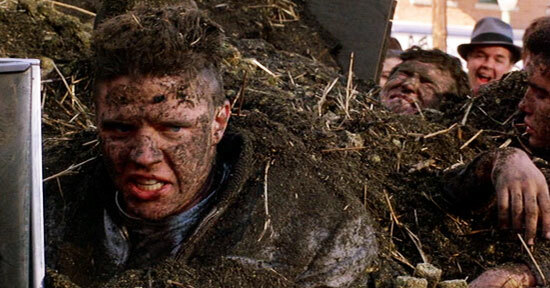 The denouement sees Biff unable to stop the car in time, crashing into a manure truck that unloads its contents all over the bully. This theme would make for a great running joke throughout the series. 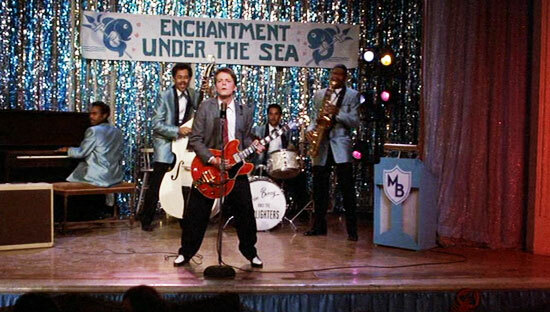 The best scene has to be when Marty McFly invents rock n roll, playing Johnny B. Goode to teens at the Enchantment Under The Sea dance. Back to the Future is so original and as Dan says, so indelibly etched into our minds. Zemekis gets high praise from me for this. There are so many memorable lines and scenes in the film. Here are just a few to add to Dan’s awesome points. The second film isn’t quite as good as the first but it has some hilarious moments in it. Old Biff confronting young Biff is one of them. The scene where Marty goes to George’s room and tells him that he’s Darth Vader from the planet Vulcan and using Van Halen music on his walkman, tells him that if he doesn’t take Lorraine to the dance, he’ll melt his brain. Meeting Goldie Wilson for the first time as he’s sweeping up the diner. Back to the Future is a true classic.